The turkey calls made by South Carolina craftsmen Steve Mann, Darrin Dawkins and Irving Whitt are objects of elegant beauty, but in the right hands their true nature - as tools designed to facilitate a successful hunt - becomes clear. 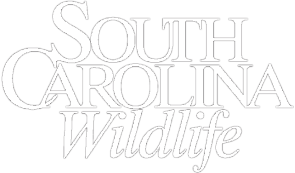 Crafting fine and functional turkey calls runs as a bright thread through the fabric of South Carolina sporting history. Ask any serious collector of this particular type of sporting memorabilia and he will readily tell you that some of the most treasured of all these sporting instruments of deceit have come from the skilled hands of Palmetto State craftsmen. 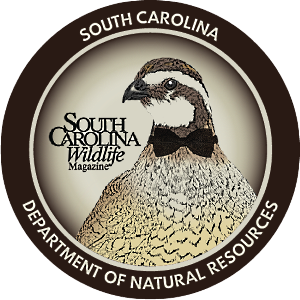 For generations, a special breed of South Carolina turkey hunter has wrought wonders working in wood, turned bones into things of rare beauty and shaped slate in a fashion which assured it sang a Siren's alluring song. That enduring tradition continues today, and momentarily we will look at a trio of modern call makers who are carrying on a glorious legacy. 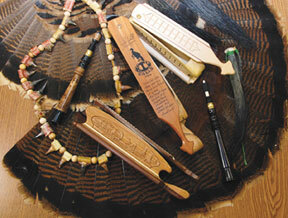 They are treading a well-worn path blazed by true icons in the world of turkey calls. But as historians occasionally remind us, we can't know where we are going if we don't know where we've been, and with that wisdom in mind, a brief overview highlighting old masters from the past will help lay the groundwork for our look at those of the present. The logical starting place is with Henry Edwards Davis, whose wonderful book, The American Wild Turkey, is still considered, a full three score years after its publication, the finest single volume ever written on America's big game bird. Davis was a lawyer who lived in Florence, and a recently published book, A Southern Sportsman: The Hunting Memoirs of Henry Edwards Davis, offers considerable insight into his passion for sport. As facile with his hands as he was gifted intellectually, Davis built fine guns, fashioned beautiful furniture and made his own turkey calls. A few years back one of these, a trumpet yelper, fetched a whopping $55,000, the highest amount ever paid for a turkey call. One of Davis' contemporaries was Archibald Rutledge, South Carolina's first Poet Laureate. Perhaps the most prolific outdoor writer of the 20th century, "Old Flintlock," as Rutledge was known to family and friends, wrote thousands of magazine articles and dozens of books on hunting and nature. 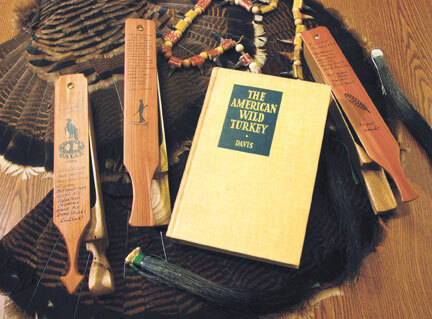 He also, possibly with assistance from staunch companions like Prince Alston, an African-American Rutledge called "a companion to my heart," made turkey calls. 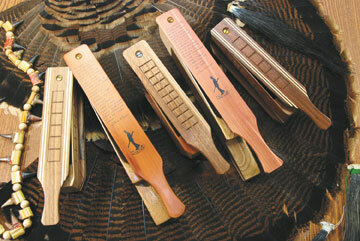 He sold some of these box calls, which he dubbed "Miss Seduction," for $5 each. In sharp contrast to the things of surpassing beauty which emerged from Davis' workshop, Rutledge's calls were quite crude - thin slats of unfinished wood joined with carpet tacks - but they carried, as call makers sometimes put it, "the voice of a turkey." For all their rough homeliness, today a signed "Miss Seduction" box with verifiable provenance is worth $5,000 or more. 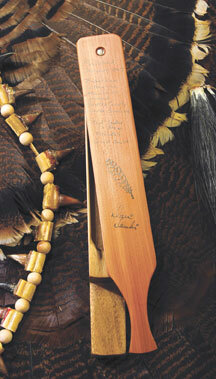 Then there's the work of the most famous of all custom call makers, the late Neil Cost. A Greenwood resident whose approach to his craft harkened back to a time when attention to detail and pride in one's work mattered a great deal, Cost was also a master of marketing. Through close ties with the National Wild Turkey Federation, wonderful storytelling skills and a genius for self-promotion, "the Gobbler," as Cost styled himself, turned a hobby into a solid livelihood. Working with two call collectors who were great admirers of his abilities, he wrote three books (Making Turkey Callers in the Gobbler's Shop, Neil Cost Talks Turkey and The Last Hurrah), produced instructional CDs and became a call-making institution. Cost's various types of box calls, which today regularly bring four-figure prices, have garnered so much attention that Michael Marks prepared a lavish coffee-table book, Magic with Wood, on them. Assuredly, as I wrote in my foreword to Cost's second book, he was "a craftsman for all of turkey hunting's ages." One of Cost's more endearing qualities - and fairness demands note of the fact he could be a crusty and outspoken curmudgeon - was his willingness to share his accumulated knowledge and call-making wisdom with others. Over the years he served as a guide or mentor for dozens of call makers, and one of those understudies has turned into a worthy successor. Like Cost, Steve Mann calls Greenwood home; and his apprenticeship under the careful, sometimes critical, but always committed tutelage of Cost has led to the emergence of a call maker widely considered to be one of those at the top of his craft. As Cost's protégé, Mann spent endless hours, working side-by-side with "the Gobbler." One consistent aspect of his "Mann Made Calls" is Mann's extreme focus on attention to detail. This begins with the critical matter of wood selection, with considerations such as grain, moisture content and proper curing figuring prominently in the overall picture. Among Mann's favorite woods are poplar, mahogany, butternut and cypress. 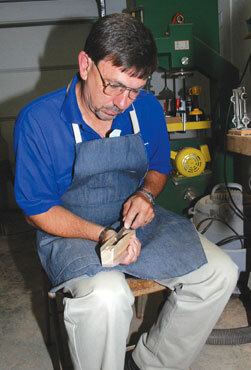 Mann has followed the practice of his mentor in providing details about the type and geographical origin of the wood used in each of the double-sided boxes he makes. Steve's calls combine simplicity of form with eye-fetching aesthetics such as checkering and inlays, and careful attention to small matters of detail such as removing any hint of glue from where pieces fit together or the sheen of the wood on the finished product. Equally important, and something which would surely have brought a nod of approval from his mentor, form follows function in Mann's boxes. 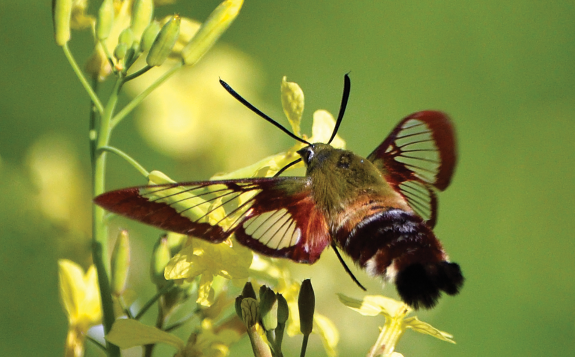 They are intended as working calls to be taken afield, not as trinkets the owner admires upon acquisition and then promptly relegates to respected obscurity in a glass-fronted cage or display case. "The greatest compliment I can receive as a call maker," Mann says, "is for someone to tell me he has called a wary gobbler to the gun with one of my boxes." In sharp contrast to Mann's training under the wise and watchful eye of Neil Cost, Rock Hill's Darrin Dawkins is self-taught. A serious hunter long before he turned his talents to call making, Dawkins is one of those ingenious, naturally gifted folks with a knack for making most anything which strikes their fancy. Visit his home and you'll find a first-rate rifle range with a dandy, eminently handy shooting bench, a small deer cooler fashioned from an old drink box and an area devoted to deer skinning where ease of work is a byword. And that's before you even enter his workshop. In that workshop, which looks like a small country store complete with rocking chairs on the open porch, you will find a room which bespeaks efficiency and effective call making. On one wall, dozens of box call paddles hang, waiting for detailed tuning attention or a final bit of tender loving care in the form of hand sanding. Across the room, a table holds scores of wood blocks, the raw material from which box calls, boat paddle boxes or slates will be made. The craftsman's tools are ready at hand, in a setting which provides a textbook example of the phrase: "a place for everything and everything in its place." The man whose talents produce these marvels of turkey-alluring magic got his beginning in the simplest of ways. Finding the sounds and service of the commercially available turkey calls he had purchased over the years lacking, Darrin made up his mind he could do better. Thus began, the better part of two decades ago, what has metamorphosed from experimentation to hobby to call-making skills which find Dawkins's boxes, boat paddles and slates in great demand. "I tried different woods, worked on getting the right sounds and learned as I went along," Dawkins says. Only after the passage of almost a decade of what he describes as "serious piddling" did he get up the nerve to display some of his calls at an annual gathering of call makers and serious call collectors in Helen, Georgia. 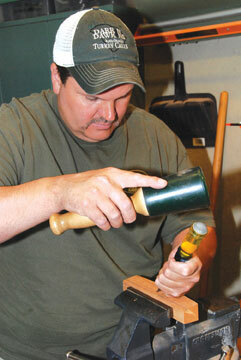 To his surprise and delight, he sold all the slates and boxes he carried to the show, and from that point forward, Darrin Dawkins Custom Calls has been a business recognized in the tight-knit world of serious call collectors as one at the top of the craftsmanship ladder. Dawkins started out making slates, graduated to box calls and then, with some insight and suggestions from another nationally known callmaker, Floridian Lamar Williams, began including boat paddles (long boxes) in his productions. "My good friend Lamar taught me some things about tuning and running boat paddles," he says, "but other than that I've done it my way - on my own." "Just as you will find a certain type and quality of wood in a fine guitar," Dawkins comments, "so do you want the right wood for a good turkey call." In his view, that translates to Honduran mahogany or yellow poplar for the body of a box call, although he has experimented with a wide range of other woods. 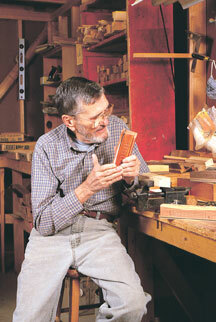 A sassafras box he crafted is a prized item in my own call collection. He likes the density, heft and performance qualities of black walnut for lids. Along with a real "feel" for woods loaded with turkey music, Dawkins has one other quality which goes to the heart of his genius. He can tune and run a box call with an adept hand and a knowing ear that would be the envy of many contest callers, and which consistently, year in and year out, finds unsuspecting acceptance from the most discriminating of all judges - those which sleep in trees. Irving Whitt, like Steve Mann, is a resident of Greenwood, and he too learned some useful lessons from the old Gobbler, Neil Cost. Yet Whitt's road to becoming a full-time callmaker pre-dated his acquaintance with Cost by many years. As a youngster growing up in Virginia's Blue Ridge Mountains, he suffered a serious accident in a fall from a tree. His left arm was completely detached at the elbow, but a medical marvel allowed physicians to reattach the limb. During long months of recuperation and rehabilitation, eleven-year-old Irving turned to art and discovered he had a real talent for drawing. Then, after full recovery, he progressed to precise, intricate carvings with a pocket knife, often whittling on wood while out still hunting for squirrels. 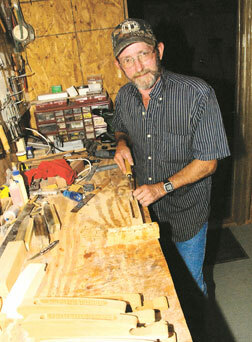 Irving developed those artistic and woodworking skills further through tinkering in his father's shop, studying shop in high school and entering (and winning) numerous art contests. For many years Whitt's attention was shifted from call making to the demands of college, marriage and work, and what might have been a steady path towards becoming a renowned call maker was temporarily put on hold. Yet the flame of Whitt's artistic passion never died, and in 1998 it again burned brightly when he made a few calls in an effort to help one of his daughters take her first turkey. After a bit of trial and error, Irving got one which suited his ear, and some evidence of its effectiveness is provided by the fact that thirty-five minutes into his daughter's first introduction to the rites of spring, they were standing in joint admiration looking at a lordly gobbler. Soon thereafter, Whitt sold his first box to racing legend Dale Earnhardt - one that featured the intricate and true-to-nature carving which would become a signature feature of his calls. Not long afterward he made the transition to call making as a full-time occupation. "I'd like to think the calls I make today sound better than my early ones," he says, "because I've constantly strived to get a better sound. My artwork (the sides of his box calls feature carvings of woodland and hunting scenes, virtually all of it done by hand with a knife) actually figures into that effort." He does point out that one vital principle underlies every call he has ever made: "I'm a hunter and grew up close to the land. 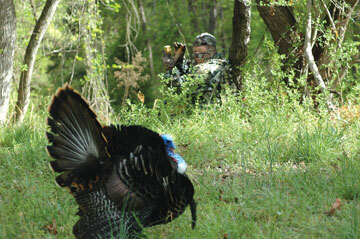 I make calls to be used and to carry the sound of a turkey." In other words, he's an artist who incorporates his skills into call making, but the ultimate goal of his craft is to produce functional calls for use afield. "When Neil Cost originally looked at my special design for calls," he reflects, "he admired them but said he had doubts about my ever being able to get the sound 'right.'" Far from being dismayed, Whitt took those words as a challenge, and after a goodly number of missteps and misadventures, he came up with a decorative carved call which also passed the Cost sound test in flying colors. From that moment forward, IHW Custom Calls and Carving, the name of his business, was an established reality, and in recent years he has expanded his endeavors to include other types of calls, such as suction yelpers and turtle-shell friction calls. All three of these craftsmen are now household names among turkey call collecting cognoscenti, and each of them has a richly deserved national reputation. Just as turkey hunting has changed dramatically from the days of Henry Edwards Davis and Archibald Rutledge, so too has the fine art of crafting turkey calls. 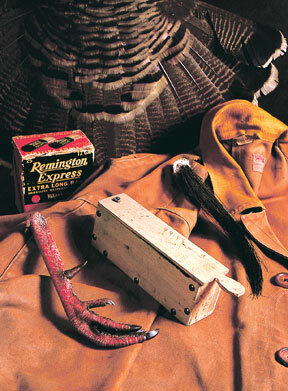 Today, discriminating collectors recognize custom turkey callmaking as a vibrant and vital aspect of sporting art, and no representative holding of these carefully crafted tools of the turkey hunter's trade is complete unless it includes examples of their superb workmanship. 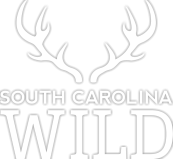 They are proud contemporary bearers of an artistic torch that runs deep in South Carolina's sporting soul. 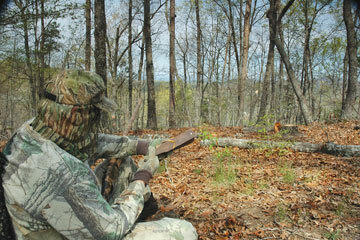 Rock Hill-based freelance writer Jim Casada is widely recognized as one of the country's leading authors on turkey hunting and sporting history. Visit his website at jimcasadaoutdoors.com.